These days, the latest talks to join the spotlight are the free agent cards. Since new Locker Codes for "NBA 2K17" have been coming out more frequently, two more have been recently released. A new day, a new round of NBA 2K17 locker codes. Portland Trailblazers marksman C.J. McCollum and Phoenix Suns Point Guard Devin Booker are the latest players to have their moment card codes released. To claim them, just input the codes into your NBA 2K17 game. Notably, 2K Sports digital marketing director Ronnie Singh, also known as "@Ronnie2K" over on Twitter, also seems to have sent another Locker Code to Dallas Mavericks forward Harrison Barnes. Ronnie2K’s timeline shows that he already sent the latter his locker code. We’ll just have to wait until Barnes shares it with his fans on Twitter. Interestingly, it seems like there's now a pattern related to how Locker Codes are dispatched this year. The Locker Codes for McCollum, Booker and Barnes were made for them after they put together memorable performances during their recent outings. Over 30 moment cards have been released since the NBA season kicked off two weeks ago. If you want more free locker codes, we highly suggest you get on social media and start telling these players to get with the program. These codes are unlimited and have no expiration, so it doesn’t hurt to try, right? Once players gain possession of a Locker Code, redeeming it is pretty easy, and 2K has offered a simple guide. Players simply need to go to the game's main menu and then look for the "Options/Features" tab. Once inside "Options/Features," they should navigate over to "Locker Codes" and then enter the code they have. If you want to stay up to date on all the latest NBA 2K17 locker codes, make sure to follow the NBA 2K My Team Twitter account. The NBA season is still young, so you can expect more moment cards to be added in the coming days. 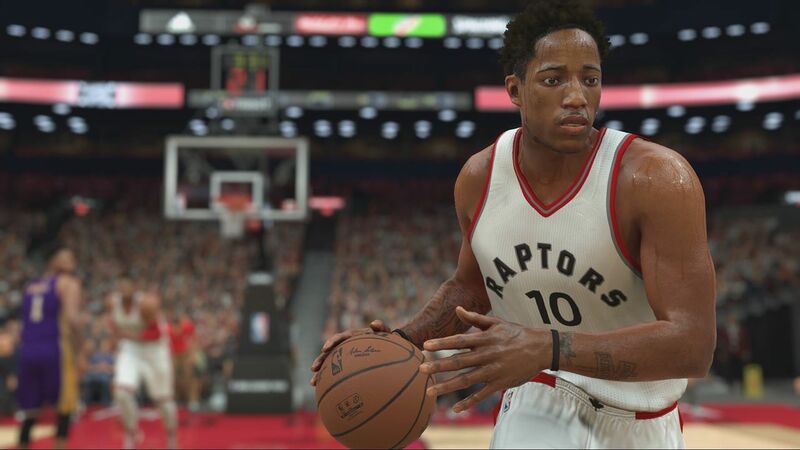 More NBA 2K17 news about other future Locker Codes please keep eyes on u4nba.com which aim to help numerous players have a great pleasure in the game.